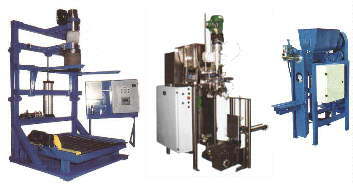 ARCOPAK - Supplier of new and used quality packaging machinery, such as impellor packers, belt packers, auger packers, bulk packers, palletizers, sealers, gros weighing ...etc. Supplier and manufacturer of new and used quality packaging machinery, such as impellor packers, belt packers, auger packers, bulk packers, palletizers, sealers, gros weighing ...etc. Sales and service for Arcopak, Twinpak, FMC, Doboy, Fishbein, Bonar, Bemis, Orion, Durant, WPM, Hamer.. etc. Web Site Design by: M. L. Steiner Communications, inc.